The republican party has talked about Obamacare replacement for a long time. On March 6, their promises got a legislative form. The most important change during the Affordable Care Act (ACA) repealing was cutting the Medicaid expansion program funding within next three years. Some experts noted that changes in Medicaid funding is the most important change, and its overall effect on healthcare systems is even bigger than any other change planned by the GOP. With Medicaid expansion cuts the states would receive the fixed amount of funding for covering all medical expenses for Medicaid enrollees. As for now, the amount of funding can be changed and the system is flexible since each state has its specific number of Medicaid enrollees and different costs for healthcare. The plan of ACA repealing included the expenses cap on Medicaid funding. According to the GOP plan, each state would receive fixed amount of money depending on the amount of enrollees and the Consumer Price Index. If states spent more on enrollees than it was calculated ,they have to cover those additional expenses out of state budget. There were some other planned changes to the healthcare system, but as the replacement bill was not supported, the GOP plan failed. Medicaid expansion cut by 2020 is only one of many other changes to healthcare that is supposed to be implemented in case of success of the GOP healthcare bill. Change the regulations of premium amounts depending on age, smoking, and locations; without those regulations, elderly people would have to pay several times higher amounts for their insurance. On March 20, the Republicans released another, changed healthcare bill in order to get more votes for their plan. With the changes, states would be able to require Medicaid enrollees to work, if they are able-bodied, older than 19 years old, not pregnant, single parents of children with disabilities or children who are six years old or younger. States were going to opt to receive funds from the government as the block grant for children and adults in their programs. However, it is not about elderly people or disabled Medicaid participants. Repeal ACA taxes in 2017 for insurers, prescription drugs manufacturers, individuals and others is another change in the healthcare bill. Initially, GOP was going to repeal these taxes in 2018. Another change was a ban of states to expand the Medicaid. If initially the expansion would be banned by 2020, changes to the GOP healthcare bill should be affected immediately in case of successful legislation. However, the replacement bill failed to go through the legislative process because of low support, its controversies, and expensiveness that affected not only democrats but also republicans themselves. Republicans were going to hold the House vote for their healthcare bill legislation on March 24, however, more than 22 republicans voted against the legislation. 22 – that was the maximum amount the GOP could afford to get the vote. Sen. Rand Paul (R-Ky.) said on March 20 that healthcare plans would not get through the U.S. House that week because of lack of support and many conservatives against the legislation. He also called the GOP healthcare bill “Obamacare-lite”, since after some changes it was pretty similar Obamacare. Another possible reason that many experts consider to be the most important is lack of understanding of Obamacare among the Republican party. Furthermore, they pointed out that ACA set up new baselines, and it would be hard to invent something different that will work with the same effectiveness. Public support is really important when such ideas are implemented. But the GOP’s American Health Care Act did not get wide support. A lot of healthcare professionals, communities, and advocacy groups were against the legislation of AHCA. Another reason for the legislation fail is the number of people who will be uninsured in case AHCA would get through the legislation process and get enough votes in Congress. According to experts, the number of uninsured will be increasing and will be more than 50 million people by 2026. Furthermore, the GOP’s healthcare bill is criticized for improving affordable healthcare for those who can afford it out-of-pocket and making unprotected population even more affected. The GOP healthcare plan failed without single vote and left many people wondering if it’s the end of AHCA. According to comments of the Republican party, it is not. The U.S. House Speaker Paul Ryan (R., Wis.) said that they would be pushing for healthcare and people would live with Obamacare for the foreseeable future. As for now it is hard to predict the future of Obamacare and American Health Care Act, however experts think that republicans will get back to this issue after some time after President Trump stated that he had never told that he would repeal Obamacare within 64 days. 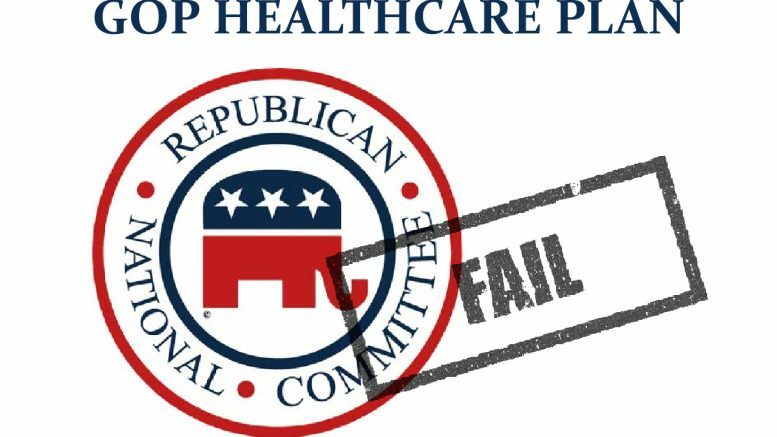 Be the first to comment on "Republican’s Party Healthcare Replacement Bill Fail"